The Manchester Community Eruv is under the strict supervision of the Manchester Beth Din. 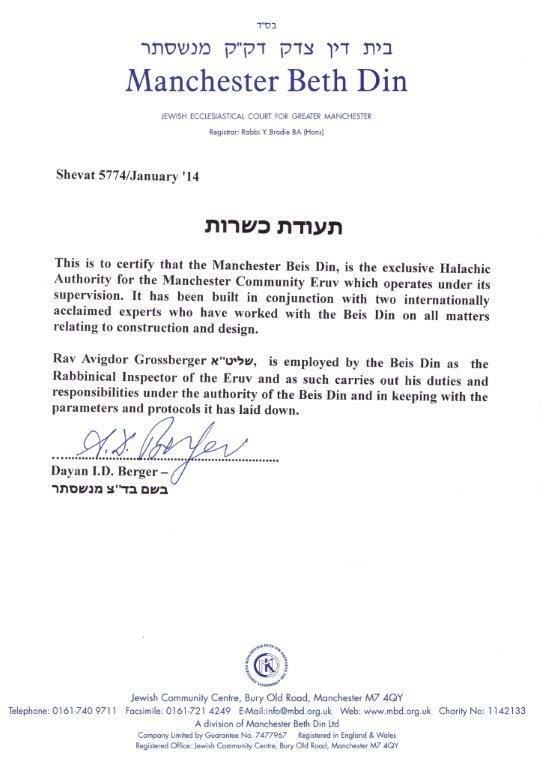 The Beth Din have now taken full responsibility for the Eruv and there are weekly checks taking place by Rabbi Grossberger שליט"א under the auspices of the Beth Din. The Manchester Community Eruv is under the Hechsher of the Manchester Beth Din as stated above, however as a communal Eruv, the Eruv enjoys the support of a broad range of Rabbonim in town.